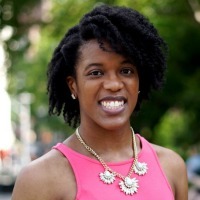 Lindsey Killett, a North Carolina native, is a graduate of the New York University (NYU) College of Global Public Health masters program. While attending NYU, she served as the Executive Director of the student led Health & Human Rights Association. Lindsey also interned with Médecins Sans Frontières/Doctors Without Borders and participated in the Population Health Innovation Lab. After graduating from East Carolina University with a B.S. in Public Health, Lindsey served at a community health center as an AmeriCorps Community Healthcorps member in Peekskill, NY. Lindsey plans to serve as a global health leader tackling infectious disease issues across the globe and access to healthcare. In her free time, Lindsey attends live concerts and is an avid foodie. The Reason I Came to Nepal- What is Uterine Prolapse? Jack of All Trades! But a Master at What?